AIM is now located at 600 E. Brokaw Road, San Jose, in the heart of Silicon Valley. Participants in workshops and squares usually stay at the Doubletree Hotel located near the San Jose Airport and approximately one mile from AIM. A van transports participants to and from AIM and the hotel each morning and evening. Or participants may choose to walk, which takes about 20 minutes. 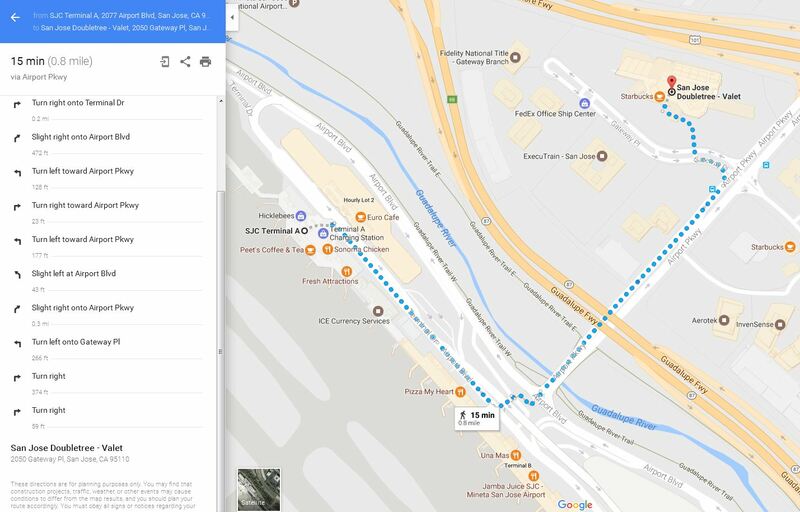 The hotel is less than a mile from the San Jose Airport (SJC). Use the courtesy phone in the airport to call for the free shuttle service. You can also walk to the DoubleTree (see map) in 15 minutes. With Google Maps specify Terminal A or B as your starting point. From Terminal B it is 1/2 mile to the hotel. The San Francisco Airport (SFO) is 33 miles away. The fare for Super Shuttle is $41. The fare estimate for Lyft and Uber is $50. You may also use the Monterey Airbus shuttle from SFO to the San Jose Airport ($20) and then the Doubletree shuttle to the hotel. The Oakland Airport (OAK) is 30 miles away. Fares for Lyft and Uber are estimated to be around $50. The fare for Super Shuttle service is $89. Take the Brokaw Road and First Street exit. Southbound drivers turn left and northbound drivers turn right onto E. Brokaw Road. Go 0.9 mile. The Fry’s building will be on the right. Come in the main entrance facing Brokaw Road. AIM is on the second floor. Take the Brokaw Road exit. Southbound drivers turn right and northbound drivers turn left onto E. Brokaw Road. Go 0.2 mile. You will see the Fry’s building on your left. Make a U-turn at the light. Come in the main entrance facing Brokaw Road. AIM is on the second floor.